There have been alternative pipes which are made from acrylic over the years, but they have been mostly DIY or custom made projects, and the ones what were available commercially tend to end up falling abit short on design or durability (ie. odd outflow angles or made of 2 separate pieces of cast acrylic and then glued together). Hence when i spotted a new acrylic lily pipe set available on eBay recently, i decided to take a chance and order it, and surprise... its actually made properly! Note that as these are from eBay sellers (there is no "brand" associated with them), i can't know for sure how consistent the workmanship are. If you are keen on them, just do a search on eBay for "acrylic lily pipe" and the available listings should pop up. The listings will also include the detailed pipe measurements too. 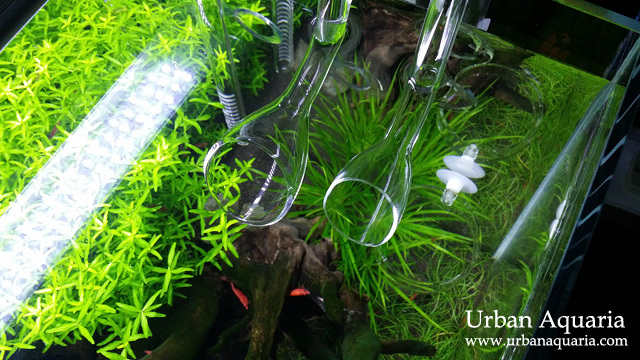 Each pipe is made from a single acrylic tube, and the measurements follow common lily pipe dimensions that fit braceless aquarium tanks. This is the version that fits 12/16mm hoses. 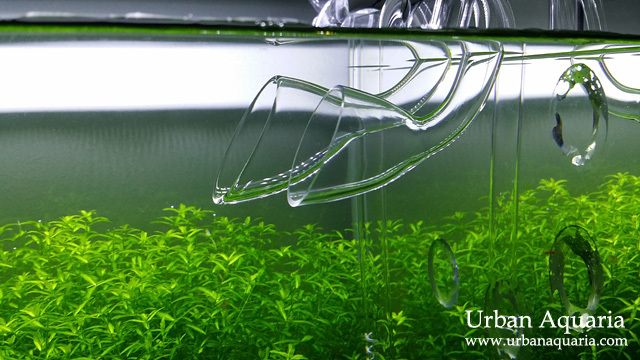 It comes packaged with suction cups and plastic clips to secure the pipes to the side of the aquarium tank. 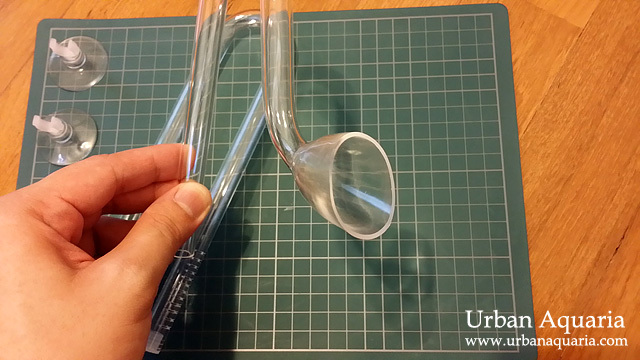 The outflow lily pipe mouth is shaped properly and tilted to the correct angle. I did notice the acrylic surface on the mouth section was slightly less clear though, which i guess is probably from the heat forming process. The intake pipe cut slots had some leftover bits of acrylic shavings, but i was able to just trim them off with a hobby knife. The bottom of the intake pipe has a plastic stopper which can be removed to facilitate easier access for pipe cleaning brushes. The seller listings still work... though i guess the search link in my post probably may not connect them successfully for some users. I'll reach the vendor by message. Does this acrylic lily pipe also create a little vortex on the surface? I see that your glass pipe does, but i wonder if the acrylic does the same trick? I am definately going to purchase an acrylic set from one of the ebay sellers you recommended. 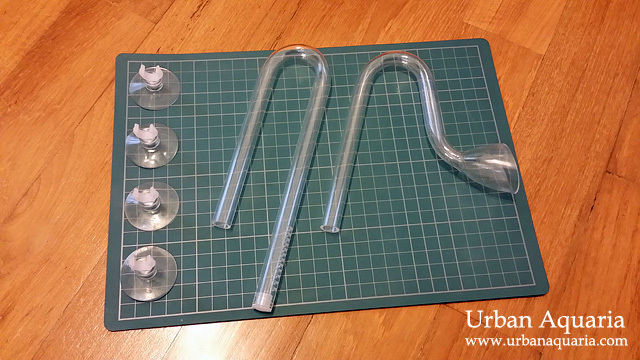 do you have any suggestions for lily pipes that support aquariums with braces? It'll depend on the thickness of the tank braces... you'll have to measure them and then compare with various lily pipe dimensions to see which ones could be used. 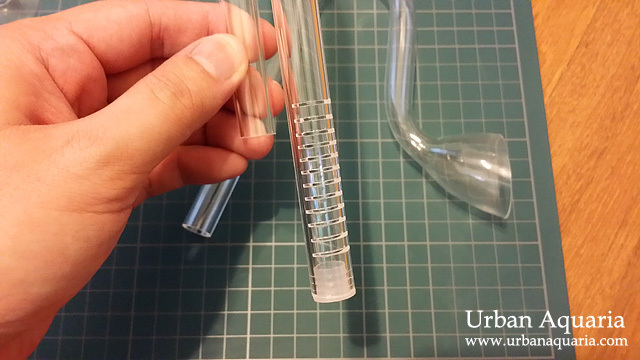 I'd imagine that acrylic lily pipes would scratch more easily compared to glass ones, especially while cleaning them. Thoughts? Yes, acrylic does tend to scratch more easily than glass... therefore softer types of flexible brushes have to be used. With soft brushes, the chances of scratches appearing would be much lower.